Last year more than 1 million refugees and migrants arrived in Europe, many fleeing wars in Asia and the Middle East. Trust Women, an annual women's right and trafficking conference organised by the Thomson Reuters Foundation, will discuss solutions for tackling the crisis on Wednesday. 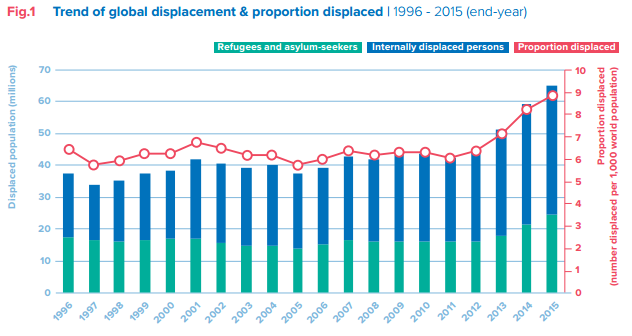 - At the end of 2015 there were 65.3 million forcibly displaced people. They included 21.3 million refugees, 40.8 million internally displaced and 3.2 million asylum seekers. - If they were a country they would be the world's 21st largest. 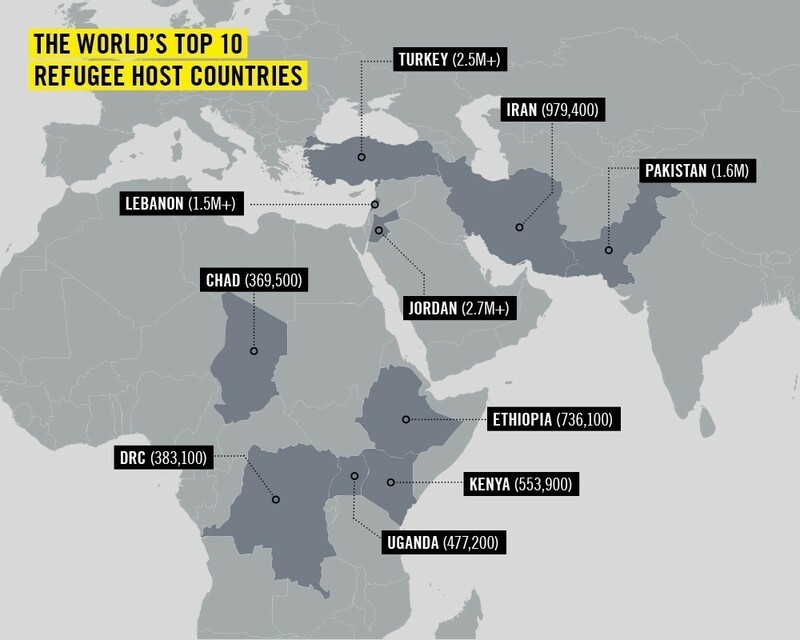 - More than half of refugees come from just three countries: Syria, Afghanistan and Somalia. - Developing regions host 86 percent of refugees. - Turkey hosts by far the largest number with more than 3 million refugees and asylum-seekers, including 2.7 million Syrians. - Lebanon has the highest concentration relative to its own population with nearly one in five people a refugee. - Globally, nearly one in 200 children is a refugee. The number of child refugees has more than doubled in the last decade. - Growing numbers of children are crossing borders alone. Last year, more than 100,000 unaccompanied minors applied for asylum in 78 countries - triple the number in 2014. - The U.N. refugee agency estimates more than 1.19 million people will need to be resettled next year. - Nearly 370,000 refugees and migrants have arrived in Europe this year, most of them by sea. - More than 173,000 have arrived in Greece and more than 167,000 in Italy. - The main nationalities are Syrian, Afghan, Nigerian, Pakistani, Iraqi and Eritrean. - More than 75,500 refugees and migrants are stranded in Greece and the Western Balkans after Hungary and other countries shut their borders, closing off routes to central and western Europe. - Numbers crossing from Turkey to Greece fell sharply after the European Union struck a deal with Ankara in March to stem the flow. - At least 4,690 migrants have died in the Mediterranean this year while trying to reach Europe, compared to 3,777 in 2015. Most have died while crossing from North Africa.